Apple’s intuitive and dependable technology makes it a great choice for holidays. For children travelling on school trips, Apple products such as iPads are much easier to use than other products. Some Apple devices can also be your camera, your library and your travel guide. Rather than packing a pile of books just use the iBooks app on your iPad, or download the Kindle app. Then you are free to download books as and when you wish, with no extra weight. For all the reasons you love using Apple technology at home, you will love it for when on holiday. Anyone who has once owned a netbook and gone on to own an iPad will say the same thing… they just don’t let you down in the same way. Apple products have built in anti-virus software so you don’t need to worry about picking up a nasty cyber travel bug when using Wi-Fi on holiday. For kids going off on educational tours will need a way of contacting home. But you may also want them to have a device which has everything they need. iPads and iPhones can also serve as music players, cameras, books and places to write notes. This means they only have one really important object to hold onto. Unlike netbooks or laptops, iPads don’t need to be closed down after each use ensuring everything is save correctly, which is perfect for absent minded kids who go from one thing to another in minutes. Apple technology, especially when using a touchscreen device, is known to be far more intuitive than other technology. Due to the prolific use of Apple products, it means you won’t be struck on the other side of the globe unable to locate a new charger. In fact, many major worldwide cities have Apple shops and if you do encounter any problems you will be able to take them in and ask for advice, practically anywhere in the world. If like most people, your priority for holiday is to read, then Apple technology can save you space in the suitcase. 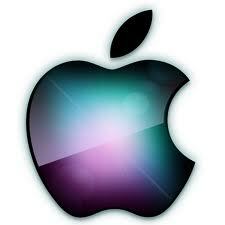 Travel guides, town guides, maps and holiday activity ideas are all found within Apple products or via apps. Again this cuts down on baggage and keeps everything in one tidy place. In fact it’s not so much a matter of ‘How can Apple help you on your holiday’ it’s more a matter of ‘How can you holiday without Apple? Personally speaking, Apple technology is accessible and secure, is recognised all around the globe and also helps cut down on luggage. An iPad for example is basically a camera, a stereo, a novel, a travel guide and a map book in one. Do make sure your device is covered with holiday insurance though. If you are sending your kids away with a smartphone or tablet then make sure they understand how important it is to keep it safe at all times. AUTHOR BIO: Shannen Doherty is a travel writer specializing in the benefits of educational tours for kids such high school trips to Washington DC . She writes for a number of educational travel blogs.